There are many space agencies around the world – a club Australia is about to join. But the big question is – what will its business model look like? Australia’s space agency is almost ready for launch, but what does it need to do? When people think of space agencies, most will think of the the big six – NASA, Russia’s Roscosmos, the European Space Agency ESA, China’s CNSA, the Indian Space Research Organisation ISRO, and the Japanese space agency JAXA. They all provide launch services, build satellites, and are involved in large-scale human spaceflight or robotic exploration missions on other planets, or both. But there are more than 20 smaller space agencies conducting less ambitious, but no less important missions for their countries. We won’t know the exact make-up and role of Australia’s space agency until the release of the review into the Australian space agency and its recommendations in March 2018. But we can say that, whatever the overall objectives, its main task will be to keep more of the money currently spent on space science in Australia – currently some $3 billion – and the people who work in the field, in Australia rather than flowing overseas. To achieve that, here are some of the roles it’s likely we’ll see our new agency take. At the moment, when overseas agencies or researchers seek collaborations with Australian researchers or scientists, they have to wade through a quagmire of government departments. It could be the CSIRO, it might be Geoscience Australia, Defence, or a completely different department. The space agency would be the one central body that can help organise and facilitate those contacts between organisations. 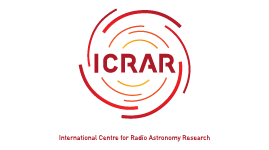 In New Zealand, the establishment of a national space agency allowed the negotiation between the Kiwi Government and United States to navigate the restrictions of ITAR – the International Traffic in Arms Regulations – which are prohibitive in allowing non-US companies to participate with the US aerospace industry. The NZ space agency was the driving force to open all those US space opportunities to New Zealand companies. This included the ability for Rocket Labs to begin launches from New Zealand’s North Island. An Australian space agency could play a similar role, becoming that negotiator on behalf of the commercial space industry. By establishing legal agreements and relationships between countries, it has the potential to open up technological, collaborative partnerships, and the ability to attract more funding and venture capital from overseas interests. A common complaint from people in the Australian space industry is the restrictive framework that exists in Australia. According to Lisa Stojanovski, an Australian who has worked in the space industry for organisations including Rocket Labs in New Zealand, “the regulatory regime in Australia is just so far behind the eight-ball, by having this space agency announcement, we’re going to make it easier for more businesses to spring up, and for innovation to flourish in the space industry in Australia”. 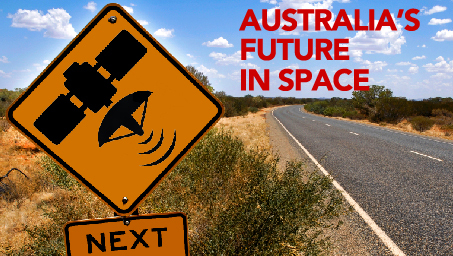 The space agency would be tasked with rewriting the regulatory framework for space in Australia, stripping away roadblocks and restrictions that currently put Australia at a disadvantage. A more amenable framework, with all the necessary protections and regulations, could play a major role in stimulating the space industry locally, and its activities in space. A space agency will also be a single body which can coordinate activities in Australia, and develop a national strategy and priorities. Establishing a focus and direction, and knowing that there is demand and support for those activities, will assist start-up companies get off the ground and flourish. It would also foster collaboration within the country towards shared goals. According to Duncan Blake, a PhD candidate in law and military uses of outer space at the University of Adelaide, the agency needs to build “…a strategy that identifies some enduring, national ‘beacon’ projects to muster the immense energy in the Australian space industry right now and which will herald our place in space”. Stojanovski agrees. “Rather than everyone trying to do their own separate little bit, if we are all working on these shared goals together and have these shared values we’ll have better research outputs, and we’re going to be tackling the issues that really are important to Australia,” she says. Part of that agenda could be coordinating the building of satellites specific to our requirements, either locally or internationally. Currently, a lot of satellite-based data being used in Australia is either provided to us by request, or sourced by buying time/bandwidth on similar equipment already in orbit. Australian needs in the telecommunications and defence areas are large and growing. Building our own equipment is not just about keeping up with other countries or proving we can, but having access when we need, to do what we want, and being able to do it securely when it comes to sensitive surveillance or communications work. In order to sell Australia overseas, and market opportunities for collaboration with Australian organisations, a vital role of the space agency will be to represent Australia on the world stage. Just as groups such as Tourism Australia markets Australia as a destination to visit, an Australian space agency will need to become a body marketing Australia as a destination to do space projects. This single, unified voice spruiking the advantages of Australia as a whole, and promoting particular advantages, will again help build those links between Australia and overseas organisations, private companies, governments, and researchers. At the recent International Astronautical Congress, many national agencies were advertising their country – acting as the single point of contact to establish partnerships to benefit their own space industries. As a domestic space industry grows, it will require more people equipped with the right skills. For that, the Australian space agency will need to ensure there is appropriately skilled graduates being produced who can drive the industry upwards. This begins in schools, with outreach activities getting students excited about STEM, and how different pathways can lead to a job in the space industry. It also involves recruitment drives and information at universities, showing options for undergraduates how to work in space after graduating. Finally, it will ensure that the students are supported in their quest to work in the space industry, and assisting students traditionally underrepresented in STEM in order to ensure that the Australia that works in the space industry, is the same as the Australia that can be most benefitted by the space industry. Today, if you want to launch a satellite to track Australia’s weather patterns, who would you ask? In the past, Australian satellites have been launched by NASA (Aussat 1 and 2) or, in the case of the NBN SkyMuster satellites, by the ESA from French Guiana. Alternatively, Australia has requested data from other countries with similar equipment in orbit, or bought time on those satellites. A local agency would streamline that entire process, and make it far easier and cheaper for Australian space science to actually reach space. Rather than relying on other countries to launch our satellites, it may seem a logical next step to begin launching them ourselves, or at least supply a local site from which to do it. While Woomera is the site of Australia’s one and only local satellite launch, it’s unlikely that it will be the site of a future large launch facility. Instead, that is would be more likely to be sited as far north in Australia as possible to take advantage of a position closer to the equator. Thanks to the faster spin of the Earth near the equator, it requires less fuel to launch a satellite from the north of Australia than the south, allowing cheaper launches and larger payloads. A launch facility will be a multi-billion dollar investment, however, so it might be a longer-term aim once the new space agency has established itself and built a business case for local launches. 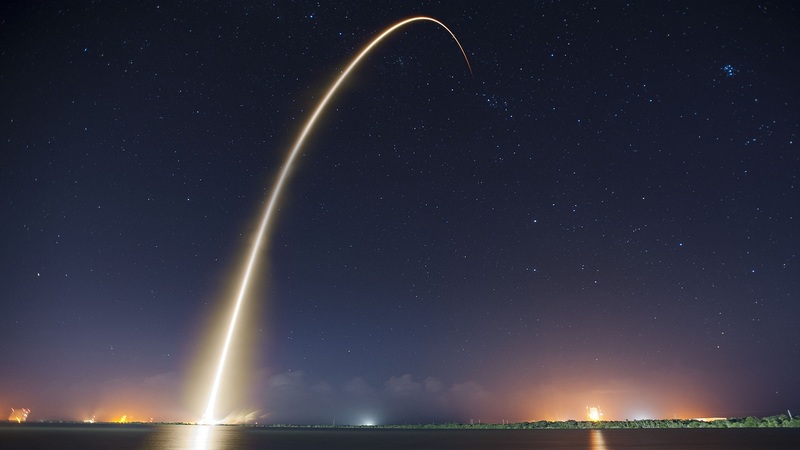 Nevertheless, with the right site and business case, a launch facility would not only be useful for local industry, but also be able to sell launch slots to overseas agencies without their own facilities. Australia could one day market itself next to Florida, French Guiana, Japan, China and Kazakhstan as a go-to site for satellite launches. One of the biggest things Australia’s agency WON’T do, at least not immediately, is send humans into space. As a fledgling agency, other priorities must be tackled first. That’s not to say that the “Aussienaut” astronaut programme dream an won’t ever come true, but it’s still some way in the distance.